The goal of Islamic Circle of North America (ICNA ) Sisters Canada is to seek the pleasure of Allah (swt) by total submission to Him and through the propagation of true and universal message of Islam,which was revealed by Allah (swt) in the last book, ‘Al Quran’ and through His last messenger,Muhammed (Peace Be Upon Him). Our vision is to build an exemplary Canadian Muslim community.A community that sets path towards personal excellence in faith,worship and morality and shares basis for the moral,social, and economic development of the Canadian society. With the vision of building an exemplary Canadian Muslim community it is very important to spread the word of Islam, develop those who accept to walk along, create an effective team of these people and extend our hands to help all human kind without any bias. This transforms into following four mandated roles that are necessary to realize our vision. * Inviting mankind to submit to the Creator by using all possible means of communication. *To motivate Muslims to perform their duty of being witnesses unto mankind by their words and deeds. *To organize those who agree to work for this cause in the discipline of ICNA. *To offer educational and training opportunities to increase Islamic knowledge, to enhance character, and to develop skills for all those who are associated with ICNA. * To oppose immorality and oppression in all forms, and support efforts for civil liberties and socio-economic justice in the society. *To strengthen the bond of humanity by serving all those in need anywhere in the world, with special focus on our neighborhood across North America. *To cooperate with other organizations for the implementation of this program and unity in the ummah. We invite you to join us in our efforts to seek Allah’s pleasure by reinforcing Islam both in our life and in the society. 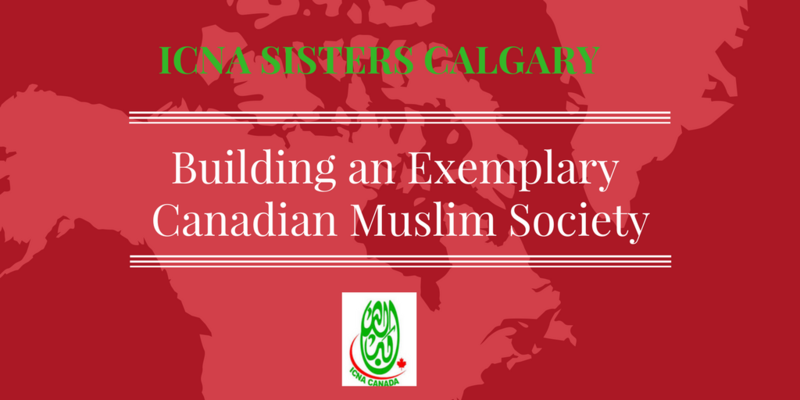 ICNA Calgary Sisters Wing is a grass roots organization that works with mainly women and children. Learning & Development department-Weekly Quran classes/halaqas for sisters in all quadrants of the city.